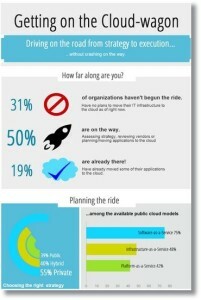 Cloud computing adoption, why are so many SMBs still waiting? When we hear it said that cloud computing adoption is a synonym for business innovation, it’s not an exaggeration. After a successful cloud computing adoption you can focus entirely on your business and let the cloud computing support team take care of most IT related issues. According to the National Institute of Standards and Technology (NIST), ‘‘Cloud computing is a model for enabling convenient, on-demand network access to a shared pool of configurable computing resources (e.g., networks, servers, storage, applications, and services) that can be rapidly provisioned and released with minimal management effort or service provider interaction.” Resultantly, cloud computing represents a convergence of two major trends (IT efficiency and business agility) in information technology. Cloud Computing Adoption, What’s the Delay? So what’s keeping a majority of business owners from immediate cloud computing adoption? Cloud technology is based on massive resource sharing and multi-user working environs. You needn’t be an IT security expert to know that these elements can be associated with troubling safety concerns. However, you can seriously reduce such risk by implementing a thorough identity and access management policy while commencing a well thought out cloud computing adoption process. 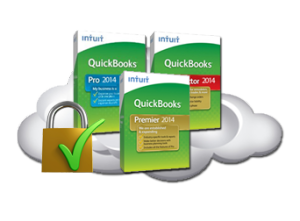 Cloud9 Real Time can help your business cloud computing adoption – Cloud9’s cloud hosted solutions garnered more industry awards in 2012-14 than all other Intuit authorized cloud service providers combined, including the Sleeter Awesome App, the K2 Quality Technology Award, the CPA Practice Advisor’s 2012 and 2013 Reader’s Choice Award, and the 2012-13 UP Award as one of the Best Cloud Hosting companies, to name a few.